What are Essential Oil Blends? 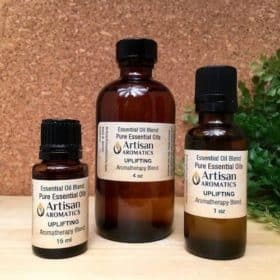 Essential Oil Blends are also called Aromatherapy Blends. These blends are pure essential oils and must be diluted before application. Each blend is a combination of essential oils that work together for powerful results. Check out: Be Calm, Energy, Relax, Robbers, Safe Travels and more (see below).